Businesses invest very little time in improvements, report claims. Most of IT and telecoms bosses rate their skills relative to their peers, and invest very little time in improving their business. This is according to a new report from Be the Business, which says businesses need to introduce improvements instead of resting on their laurels. 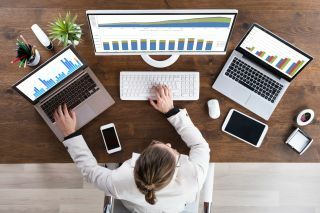 The report says that more than three quarters (76 per cent) of those surveyed see their business as more productive, compared to their peers. More than a quarter (28 per cent) never evaluated themselves to see where they sit. The biggest excuse for not adopting best practices is the alleged lack of time (24 per cent). Another 11 per cent said they didn’t know who to talk to, while another 11 per cent don’t know what best practice looks like in their line of work. “Evidence shows that business leaders consistently overestimate the performance of their businesses, and Brexit will only increase the demand for our firms to be more competitive. IT and telecoms bosses must raise the performance of their businesses to put themselves in the best place to manage the challenges and opportunities life outside the EU will bring,” commented Tony Danker, chief executive, Be the Business. “The UK has a long way to go in order to catch up with our European neighbours who are able to produce in four days, what it takes five to produce in the UK. With less than a year to go before we leave the EU, bosses must start now to make Britain’s economy the most competitive in Europe. "If bosses commit to improving their firms' performance, British business will thrive whatever our post-Brexit landscape looks like."